Mine: Good direction and a great script. Actors clearly had fun with the witty dialogue they were given in this dark period piece. The ending was great and left me thinking. 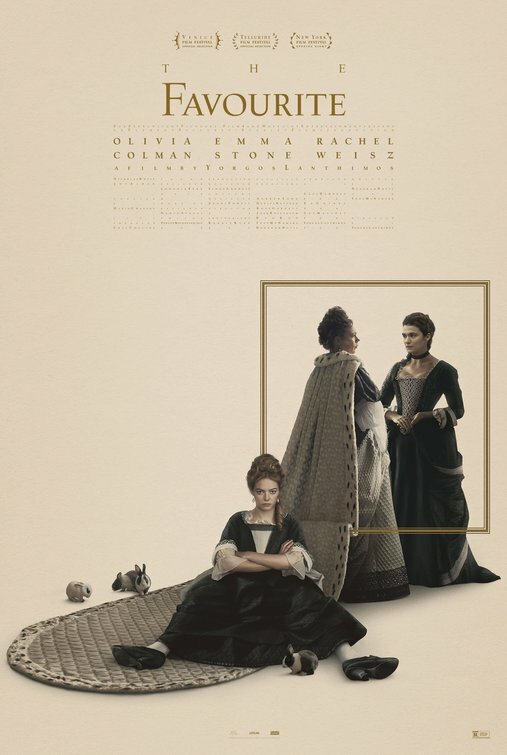 Leonard Maltin/Plot synopsis: In early 18th century England, a frail Queen Anne occupies the throne and her close friend, Lady Sarah, governs the country in her stead. When a new servant, Abigail, arrives, her charm endears her to Sarah.